British Military Issue Genuine Army Surplus. 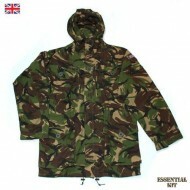 DPM Woodland Camouflage. New - may not be in ..